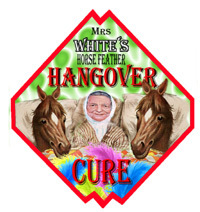 Made from a distillation of the best horse feathers. Plucked from the finest dream thoroughbreds. Which can only be found in the mind planes of this unique woman of healing. This cure is guaranteed if you are prepared to follow the instruction booklet which is kindly included.